After sitting for an extended period of time and getting up, have you ever felt light headed or dizzy, even if for a few seconds? A new study is showing that this may be indicative of a major problem. Data is showing that this indicates a problem that is taking place in the nervous system, which is responsible for regulating blood flow and controls the amount of oxygen getting to every part of the body, especially the brain. 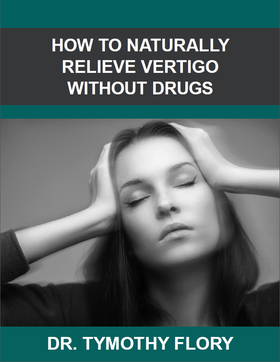 Typically, this type of symptom would be classified under the diagnosis of vertigo. When the Atlas is out of its normal position, it can distort the normal function of the ear as it relates to balance. Once the Atlas is restored, the communication between the inner ear, brain, and body imaproves, and vertigo symptoms often resolve naturally in time. Murphy K . Feeling Woozy? It May Be Cyber Sickness. http://well.blogs.nytimes.com/2015/11/14/feeling-woozy-it-may-be-cyber-sickness/?_r=0 (accessed 30 November 2015). Elster E. Sixty patients with chronic vertigo undergoing upper cervical chiropractic care to correct vertebral subluxation: a retrospective analysis. Journal of Vertebral Subluxation Research, Nov. 8, 2006:1-9.